VapeWild just released their new Deals of the Week. 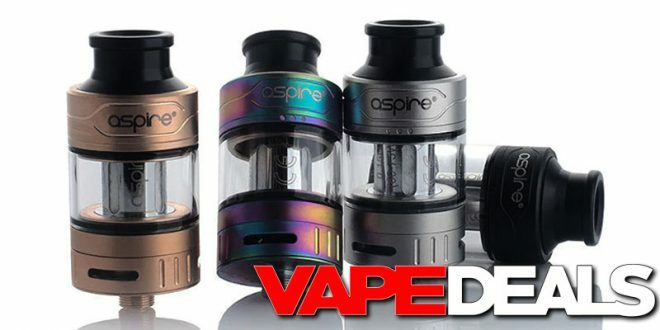 For the next few days, you can pick up an Aspire Cleito Pro Sub-Ohm Tank for only $18.89. I had a look around and that appears to be the lowest price out there right now. They’re also selling the Cleito 120 Pro for $1.80 more (link below). Both of these tanks are available in 4 different colorways: Stainless Steel, Black, Rainbow, and Gold. Shipping is FREE when you spend $39.99 or more (US only). **It’s also worth mentioning that new customers can get a Welcome E-liquid Sample Pack (4x 30mL bottles) for $1 with coupon code “WELCOME4”. Check out the link below.